This is based on a Mark Hix recipe for griddling a spring chicken. 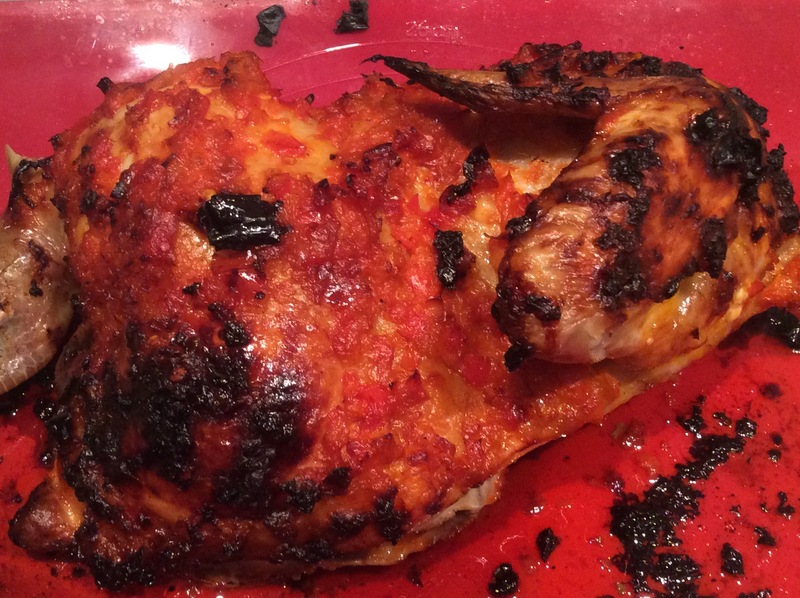 I prefer to spatchcock a large chicken, baste it with the piri piri and roast it. Easy and one of our Favourite Sunday Specials. Reminds me of a portugese piri piri. Delicious! Heat the oil, add the red peppers and chilies and cook until soft for about 5 minutes or so. Add the tomato purée and continue to cook for another 5 minutes. Season with salt and pepper. Smother on the chicken and roast for about 50mins, basting now and then, until cooked. Pour over the juices to serve. Tip – This will be enough for a 2.5kg chicken, often I cook half of the chicken only as piri piri freezes well and goes on most things very nicely!